HomeMilitary AviationDutch F-16 mistakenly strafes range control tower. And it’s not the first time. On Nov. 4, a Dutch F-16 strafed a control tower on Vlieland Island Vliehors shooting range by mistake. It was not the first time such incident occurred. The plane was to attack a target located within the shooting range with its M61 Vulcan cannon but, in an unfortunate incident, the rounds hit a control tower, located 500 meters further. Fortunately the controllers in the tower were unharmed. The tower itself though did receive some damage. The reason for the incident is unknown and a special commision will gather to investigate. This is the second time that a friendly fire incident happened in Vliehors. Back in 2001, a German Tornado did shoot at the control tower in very similar circumstances. Back in 1998, a Danish F-16 even sent a guided missile into the tower. Fortunately just one person was mildly injured. 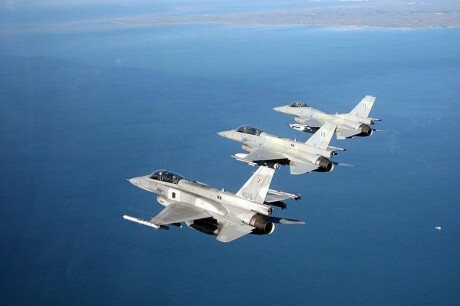 No information on the RNlAF F-16 involved is available. The Dutch Vipers are stationed in Volkel and Leeuwarden bases. Since the latter one is undergoing some works, the local F-16s were relocated to the southern airbase. NATO Steadfast Jazz drills kick off next week. At 30 seconds of jet flight from Russia.